Takata has added millions more airbags to the biggest automotive recall in U.S. history. The Japanese firm is recalling an additional 2.7 million airbags, it said in a notice posted on the National Highway Transportation Safety Administration (NHTSA) website on Tuesday. The new recall will apply to vehicles produced by Ford (F), Mazda (MZDAF) and Nissan (NSANF). Takata said new testing revealed that a chemical drying agent used in the airbag inflators could cause driver side airbags to rupture. The company's faulty inflators, which can blast shrapnel into drivers and passengers, have resulted in the recall of tens of millions of vehicles and been linked to more than a dozen deaths worldwide. Earlier this week, Honda confirmed another death connected to an exploding airbag, bringing the total number of fatalities in the U.S. linked to Takata's inflators to 12. 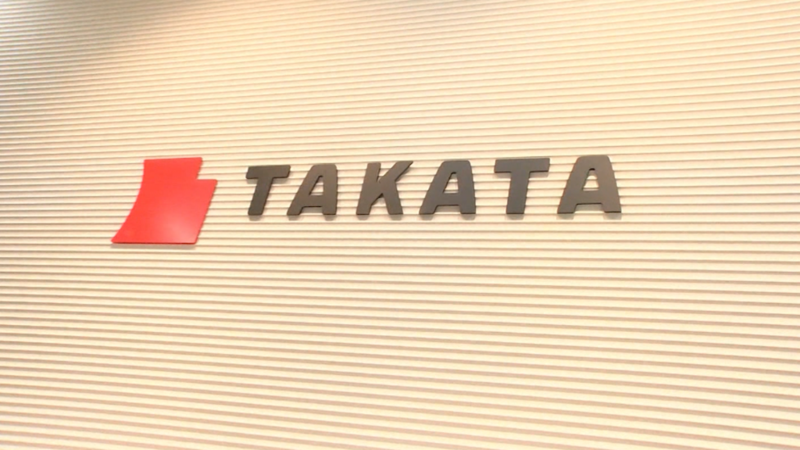 The latest recall affects Takata airbags produced from 2005 to 2012. The company didn't identify the vehicle models affected in the notice. Nissan said it will recall about 627,000 Versa hatchback and sedan vehicles, 515,000 of which were sold in the U.S. A spokesman for the car manufacturer noted there have been no known incidents associated with the Takata inflators, saying Nissan is "implementing this recall out of an abundance of caution." Mazda said the new recall will apply to more than 19,000 of its B-series pickup trucks, about 6,000 of them in the U.S.
Ford said in a statement that it was aware of the new Takata recall, but did not reveal how many of its vehicles will be affected. "Importantly, we aren't aware of any incidents, and test data doesn't suggest any issues," a Ford spokeswoman said. The airbag scandal has led to a slow and painful demise for Takata, which started out as a textile manufacturer more than 80 years ago and later came to specialize in seat belts and other auto safety equipment. The company filed for bankruptcy last month. U.S. Senator Bill Nelson, a member of the Senate Commerce Committee, said this latest recall "raises serious questions" about the threat posed by Takata's airbags. "If even more are found to be defective, it will take us from the biggest recall ever to something that could become mindboggling," Nelson said in a statement.